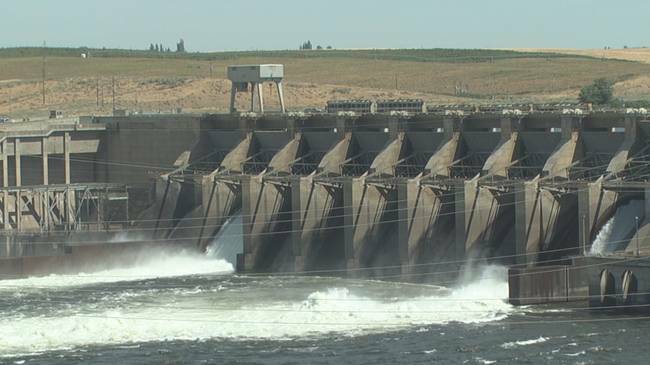 WASHINGTON D.C. -- Legislation claiming to protect dams on the Columbia and Snake rivers passed the house with bipartisan support on Wednesday. HR 3144 sponsor Cathy McMorris-Rodgers said the bill takes on an Oregon judge's spill order claiming to help migrating salmon. Representative Dan Newhouse said the judge's order means Pacific Northwest families shouldering $40 million of increased rates even though and fish and dams can co-exist. Opponents of the bill are claiming it'll cause native salmon species to go extinct, something Rep. Newhouse said he takes offense to. "I challenge these detractors, let this plan come to fruition. Let us actually have a plan that has the intent of continuing our salmon restoration efforts," he said. From here the bill needs to be approved in the U.S. Senate. Until then, the spill, which started earlier this month, continues. Dam Bill Passes U.S. House, Moves to Senate <-- Watch video at original site.